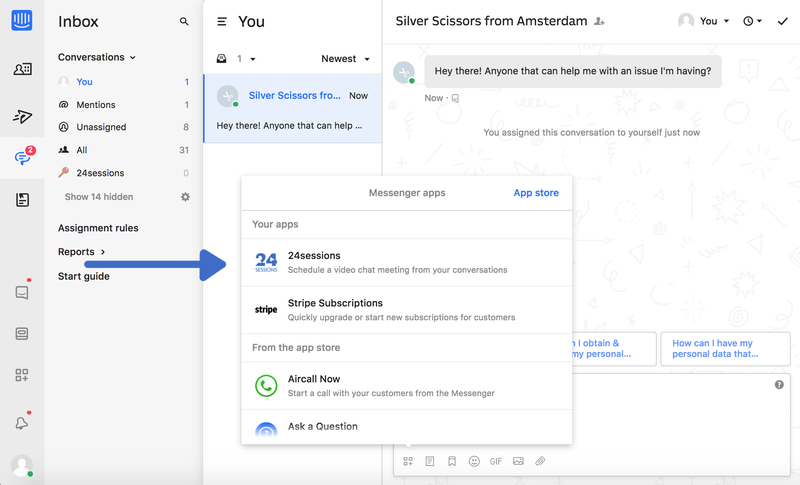 How does 24sessions integrate with Intercom Messenger? If you’re chatting to a hot lead, or high-value customer, you can easily have a more in-depth conversation by inviting them for a 24sessions video call. 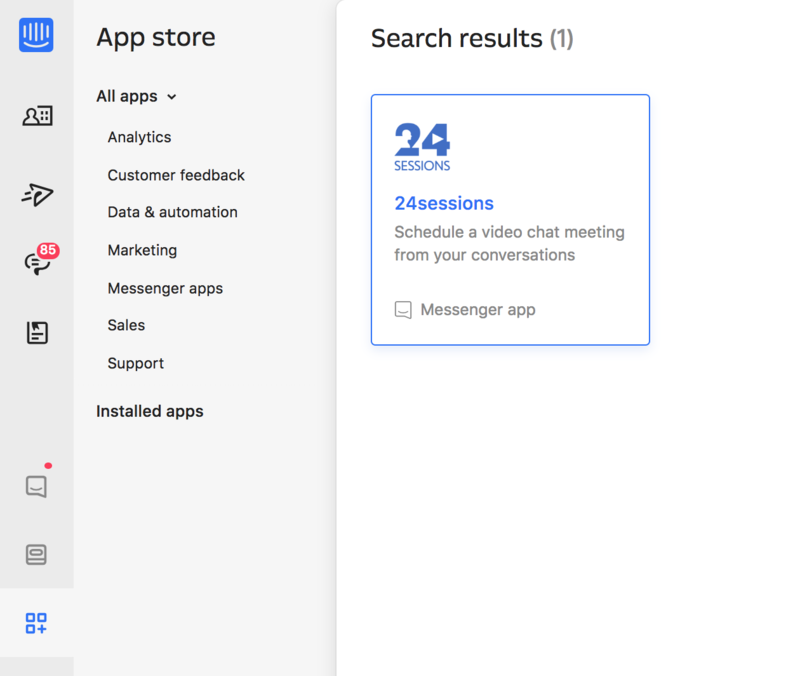 Go to the Intercom Appstore and click on the 24sessions app. You’ll be asked to connect 24sessions to Intercom. Next you need to add your instance account. If you don't have an account yet, create a new instance here. 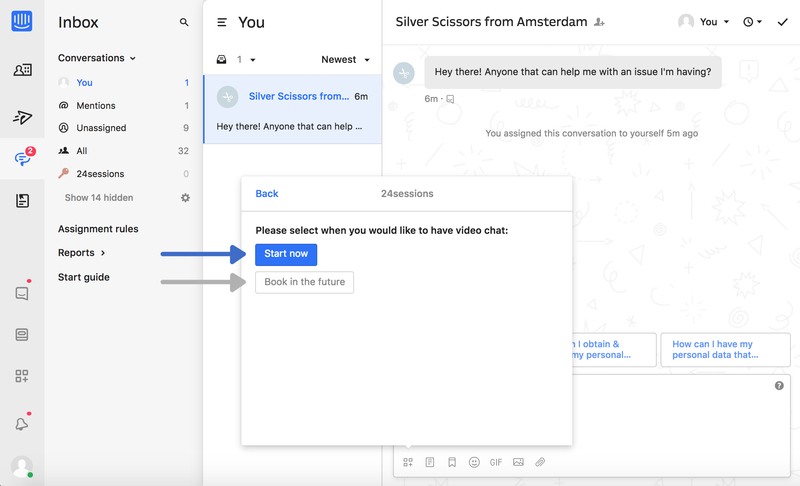 Once connected, you can invite leads or customers to join your video calls. Click the app icon in the chat and select 24sessions. Then, select when you would like to have the video call: Start Now or Schedule for time/date. 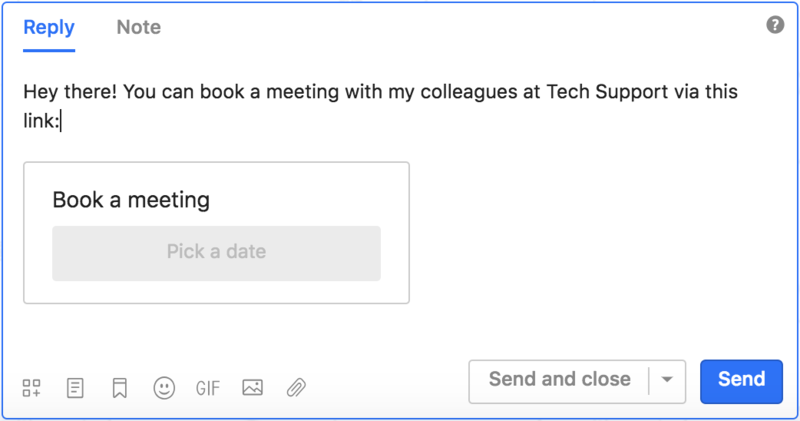 Finally, choose the meeting type for your call (e.g. Demo session). Your video call is setup and ready to be shared with your customer/lead. Add a piece of text and hit Send! If your lead has questions that require a specific expertise, you can invite them to pick a date/time for a video meeting with your expert colleague. This will help you to save time and convert more leads into prospects. After clicking on the 24sessions app, you select 'Schedule for time/date'. Your invite to book a meeting is ready. After you've shared the app, your lead clicks on 'Pick a date' to schedule a video call. 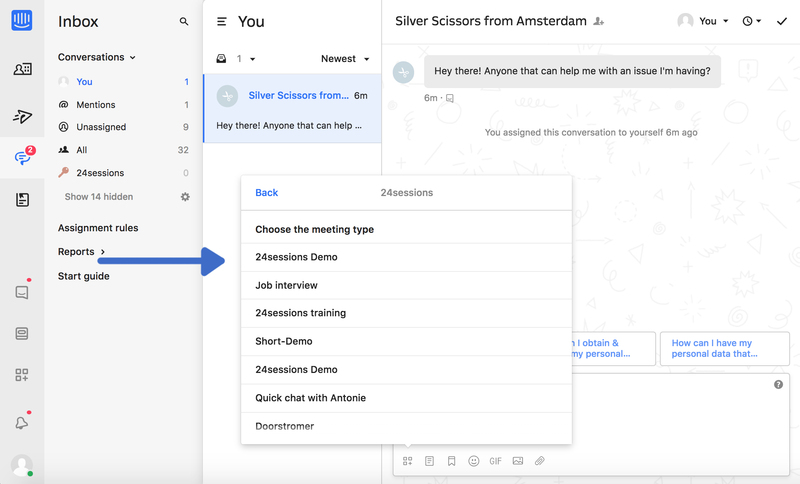 Curious how 24sessions & Intercom Messenger bring out the best in each other? Whether it’s a demo or a discovery call, chatting to your leads over video will help you quickly understand if they’re a good fit for your business. Demo your solution works when it really matters. Killer onboarding has 4x the impact compared to improving your acquisition. Invest by inviting new users for a video call, sharing your screen and educating them on how to best use your product or service.